Note: the following categorizations of holy figures are rudimentary because Buddhism is a complex web of hierarchies that cannot be perfectly modeled. Even in this chapter, there are figures that change names and stature (in this case, we took the highest level reached). However, for the sake of this project, we wanted to obtain a trend of the trajectory of the text. The following table charts all of the named holy figures and their importances in the first chapter to show how the figures lend authority to the text. If you would like to see where in the text these references occur, see the List of References. 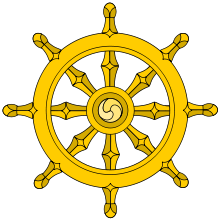 Read the analysis on holy references in the Lotus Sutra.